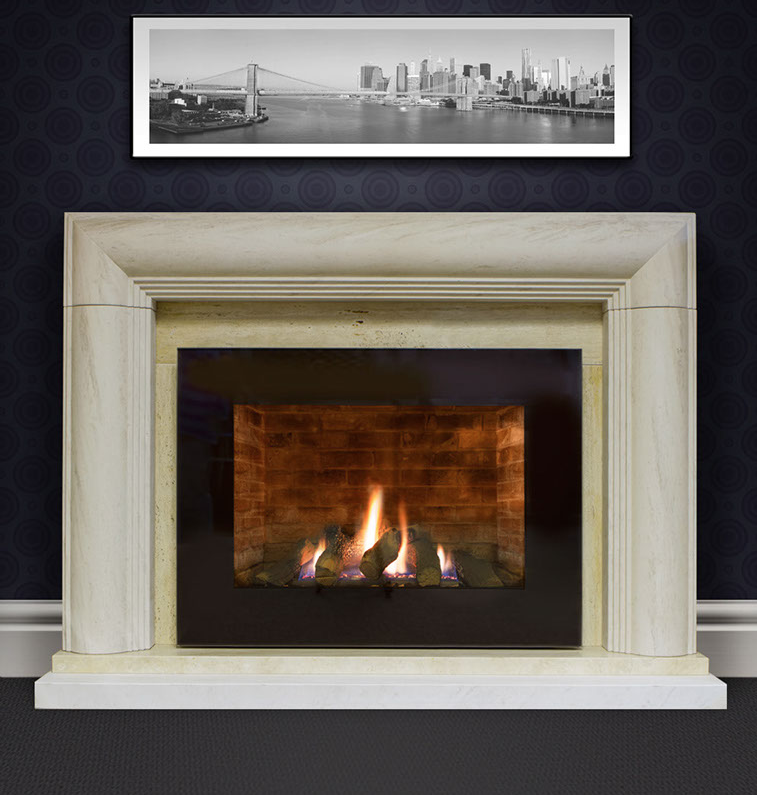 Portuguese limestone is a natural stone cut straight from the earth. 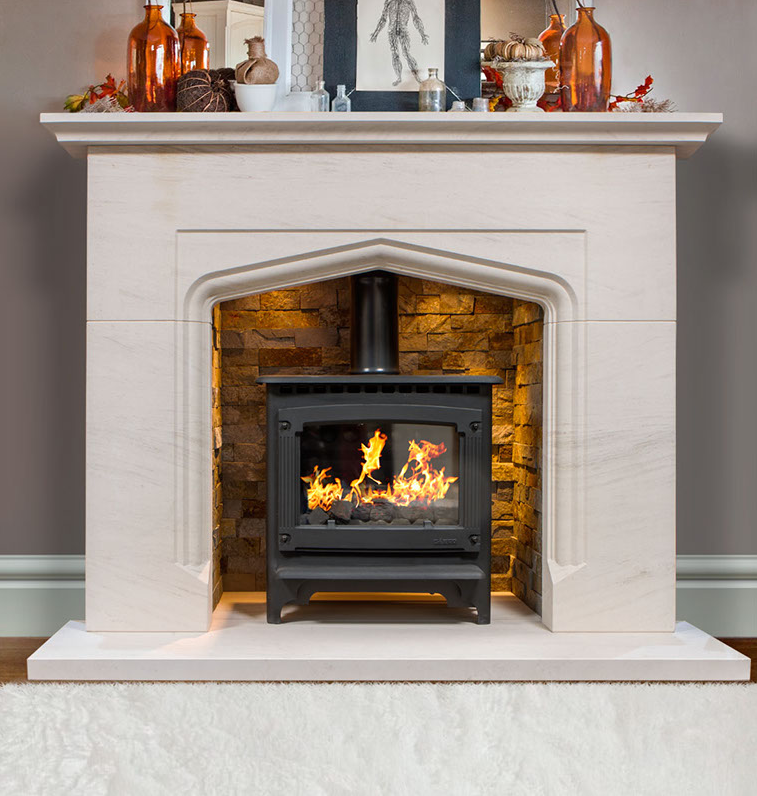 The stone is a sedimentary limestone with characteristic darker veins and lighter background, intermingled with fossils and blooms. 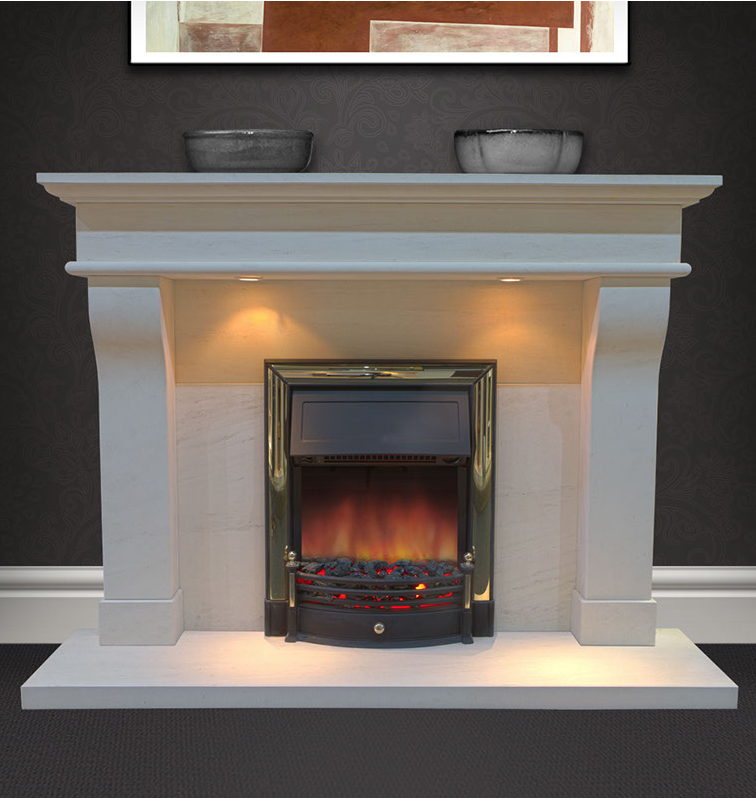 This limestone surround is manufactured from 100% natural material. 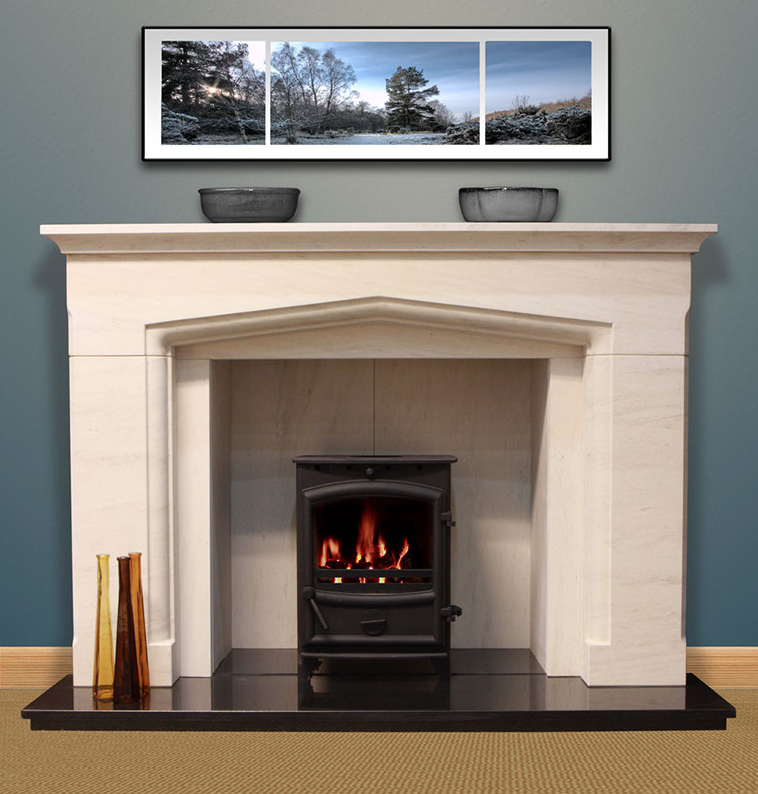 All of our limestone surrounds are constructed from Portuguese limestone, which is a natural material so each piece is unique and will contain veining, fossils and ‘blooms’ which are not defects. 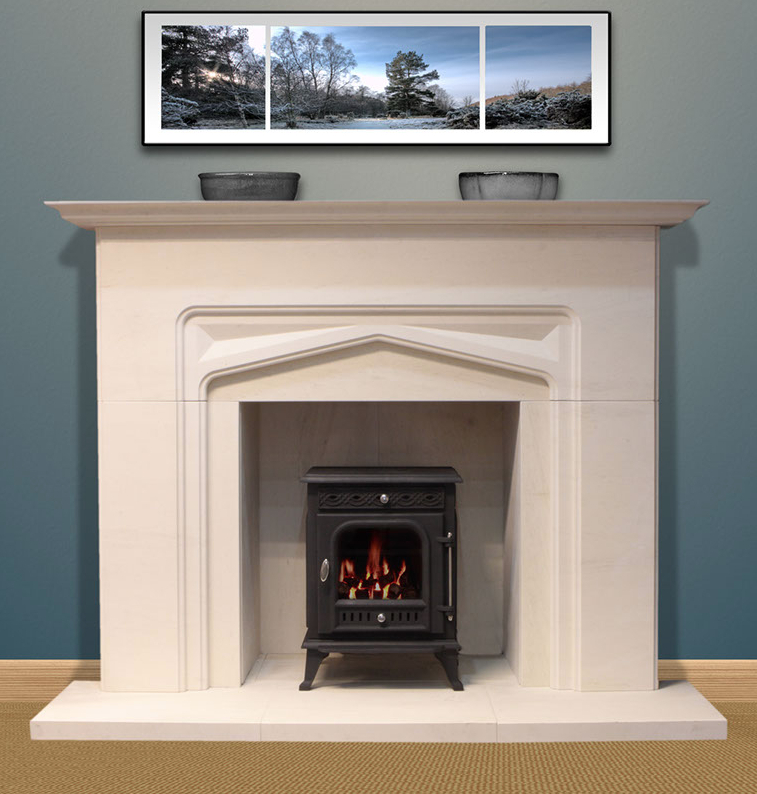 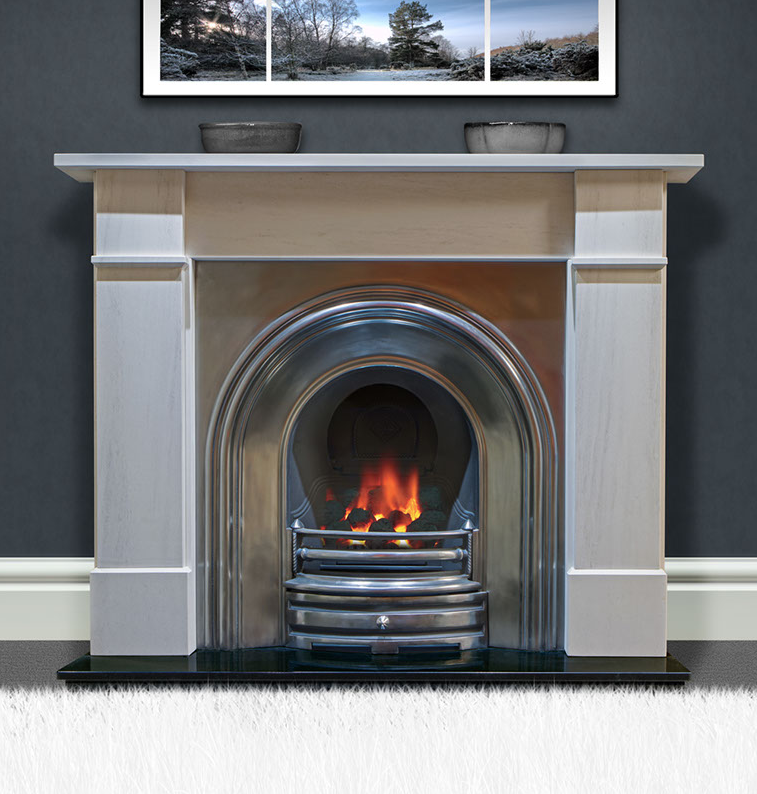 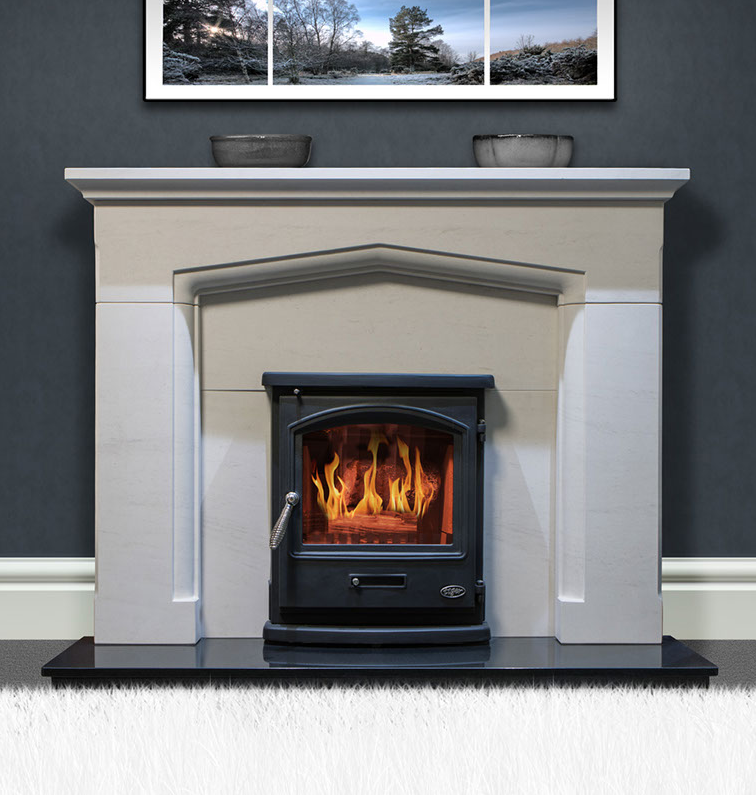 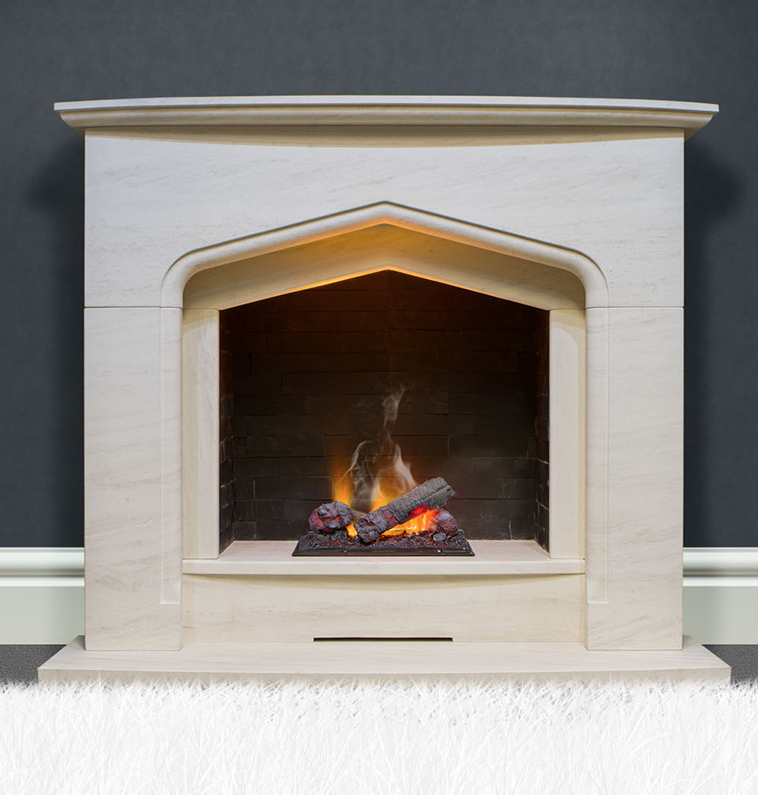 We manufacture all of our own Limestone and Marble Surrounds, for an additional charge we can custom make your fire surround to your preferred sizes, so no new carpet or flooring required.